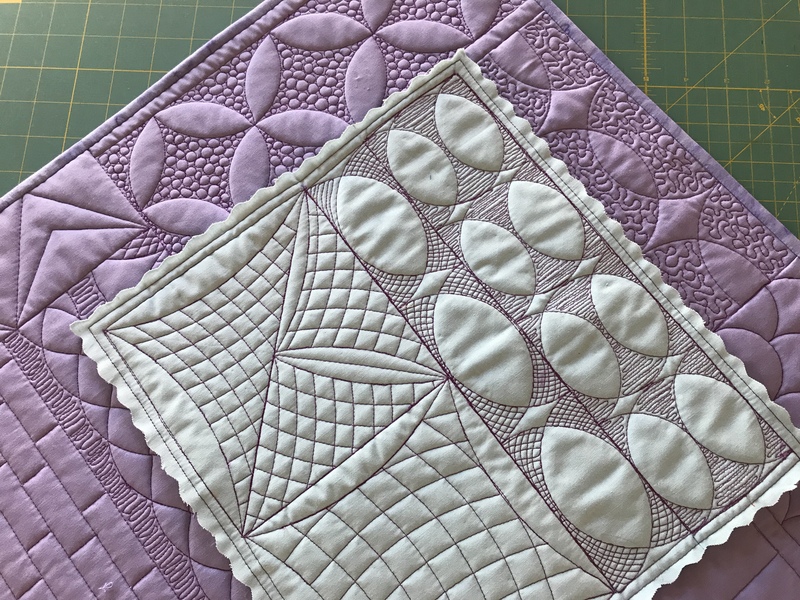 I have been decluttering recently and came across this little quilt which was a work in progress started in an online class with Amanda Murphy Designs in January 2018. Being March 2019, I thought it was about time I finished it plus put my own mark on it by adding a few fillers. This is the result. I used the Bernina ruler set for all the curved quilting and the Line Tamer ruler for the straight line quilting. 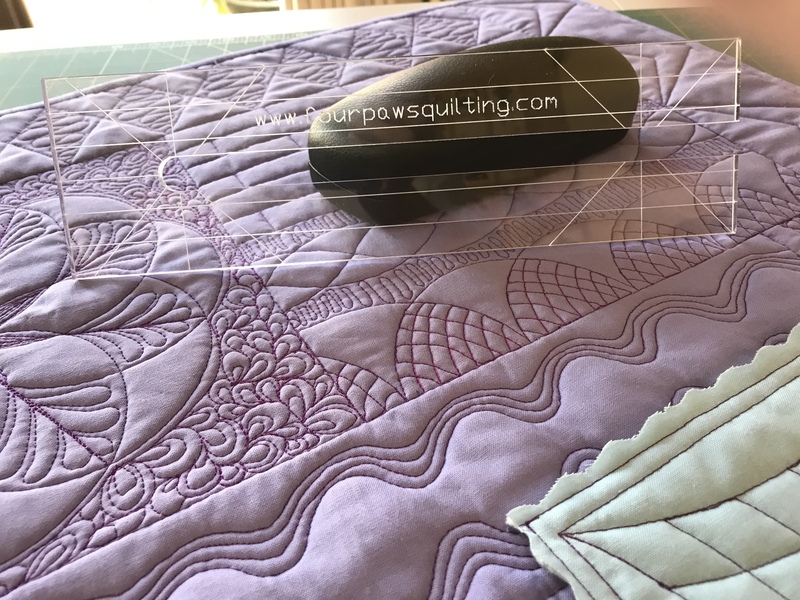 I have never been able to master the BSR so quilting the fillers presented the ideal opportunity. After road testing the BSR again, I have to say I prefer not to use it, as I had difficulty mastering echoes and I seem to be more consistent when not using it! 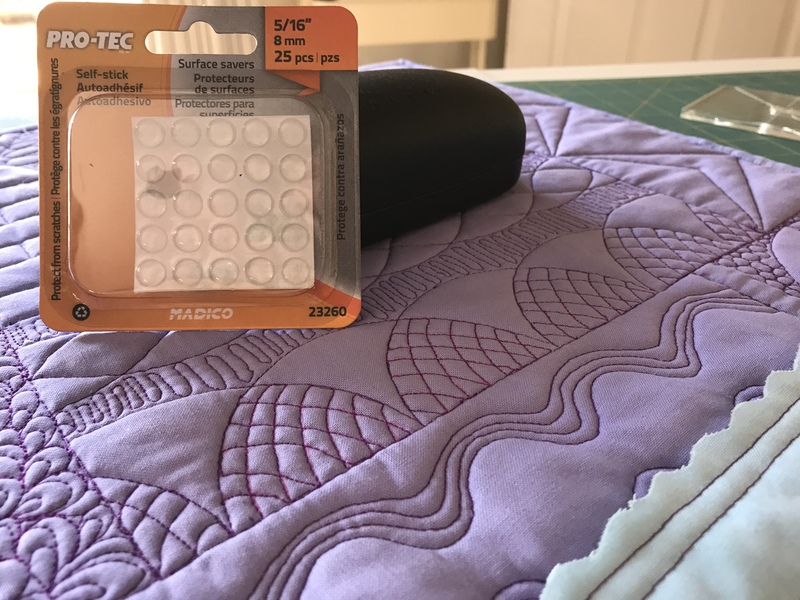 My favourite ruler for quilting straight lines is definitely the Line Tamer, I also like to use the small furniture grips on my rulers as they are not too big and give good visibility when quilting. I find the grips excellent when using curved rulers and circles. Previous Wool Felt Flowers and Accuquilt dies. 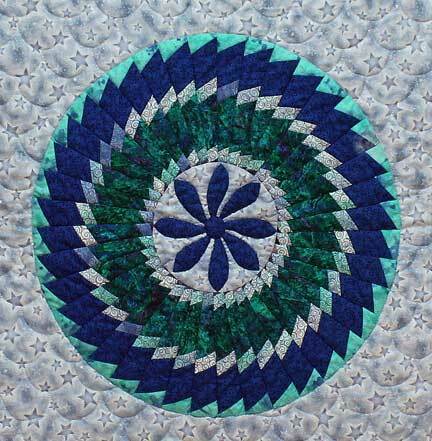 Lovely quilting, as ever, Sheila.